Anyone can grab a few outfits, a friend and a plane ticket to see the world. Backpacking today is easier than ever-- here's how to start your next adventure. STATravel is the world's largest student travel agency. STA sells tours (GAP, Contiki, Topdeck, Intrepid, OZ/KIWI Experience, Busabout, etc. ), domestic and international plane tickets, Eurail passes, hotel/hostel, travel insurance, the ISIC card, etc.. STA often has cheaper airfare for students, teachers, and people under 26 because of contracts with the airlines. These student/teacher/youth tickets are very flexible, most are cancellable, and almost all only have a $35 change fee if you need to change the ticket. 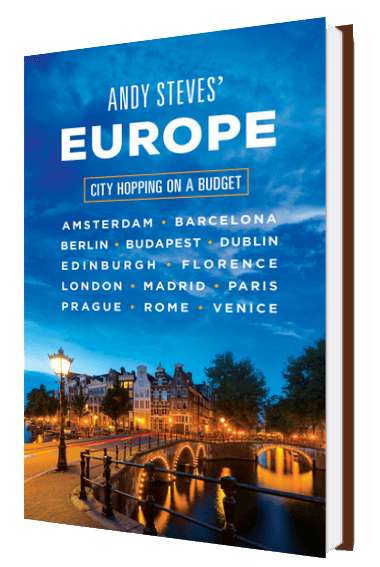 Europe from a Backpack is a compilation of travel stories collected by Mark Pearson, a fellow Seattleite.